Ways to increase Wi-Fi performance. Part Two: Dynamic/Static Turbo. Techniques, reviewed in Part One of the article, certainly boost wireless links. But one cannot jump higher than one's head. All these tricks (mostly useful) allow to reach 40 Mbit/s under ideal conditions (usually - about 30), but what if you want more? Atheros also pondered over this question and its labs produced Super G Turbo Mode. As you can see on the picture above, this technique allows to overclock a wireless link to 60 Mbit and higher. All brilliant ideas are simple, so this Atheros technique, without further ado, uses two adjacent channels to transmit data instead of only one. Thus, the link bandwidth is doubled. In other words, it uses a similar to trunking technique in Fast Ethernet networks, where dual channels are utilized to double transmission rates. Dynamic Turbo - a wireless station constantly monitors the air and the situation. As soon as an associated client requires the greater bandwidth, it switches to multi-channel mode. Nevertheless, the system periodically returns to single-channel mode to allow third party stations (which don't support turbo modes) to join the station. If any third party stations are associated to the AP, it will not enter this high-performance mode utilizing two channels. Static Turbo - multi-channel mode is always enabled; stations that don't support turbo mode cannot connect to this network. But the overall performance of a wireless network in this mode is higher, as no time is wasted on returns to base (single-channel) mode. It should be noted that Turbo mode can operate only at certain frequency channels. In case of 802.11g (2.4 GHz) - there is only one channel at 2437 MHz (Channel 6). For 802.11a there are much more Turbo channels. 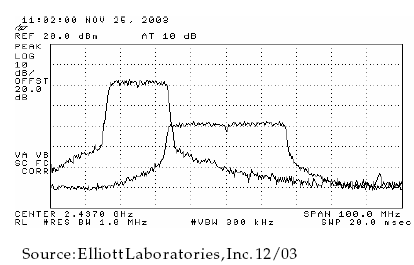 Three channels are in the lower UNII band (see Figure 1). Another two - in the upper UNII (at 5765 and 5805 MHz). Unfortunately, the 802.11a standard in Russia is of only academic interest, as it cannot be used (due to license limitations). UNII bands are unlicensed only abroad (Unlicensed National Information Infrastructure - UNII). It's never so easy in Russia. That's a real pity, it allows turbo modes at several adjacent wireless stations. 802.11g does not allow that - it offers only one channel for Turbo mode. That's why any AP operating in Turbo mode monopolizes this turbo mode in its effective range. Channel bandwidth of any 802.11g device is about 20 MHz (plus another 5 MHz between adjacent channels). It looks peachy at first sight, eleven 802.11g channels allow many devices to operate unimpeded... That's not really true. In reality we have only three channels (1, 6, and 11), where nearby devices can operate unimpeded (we have already discussed it earlier). Without getting into the theoretical jungle, a device operating on its channel still overlaps the two adjacent channels - the so called partial spectral overlap. As a result, devices operating on adjacent channels impede each other - transfer rates drop. Of course, distancing the devices physically from each other can save the day, but we are now considering the general case. The above said also applies to the normal 802.11g. Now let's get back to Super G Turbo. When activated, this technique uses a band equal to two channels. The center (in case of 802.11g) is Channel Six, it cannot be changed. 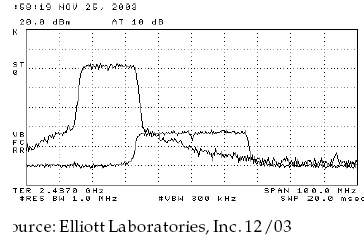 It should be noted that due to a larger band in Super G Turbo mode, the 1st and the 11th channels cannot remain uninvolved - they are partially overlapped (Figure 2). Figure 2 shows such a situation. 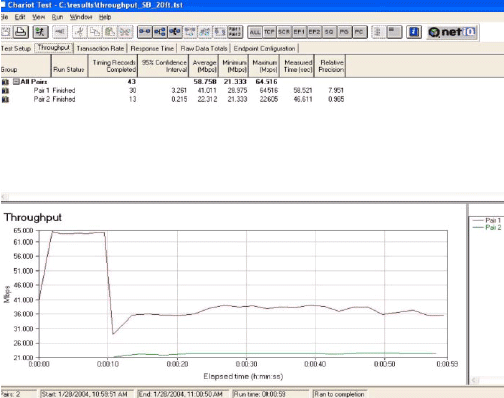 But the screenshot demonstrates a situation when two devices are spaced from each other, that is the signal strength of a Super G Turbo device is already attenuated by ~15 dB. Measurements were taken by independent Elliott Laboratories. In this case, there is a main wall between the devices, which attenuates signals from a device operating on dual channels. As you can see from the diagram, the high-speed (about 60 Mbit) transmission in Dynamic Turbo mode is interrupted (it's switched to the single-channel mode) when a normal 802.11g device is activated. 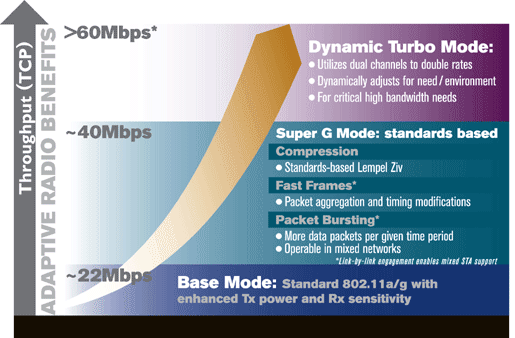 As a result, the normal 802.11g operates at a normal speed (about 20 Mbit), and Super G - at 35 Mbit. Everybody is happy. And the last test of Super G Turbo vs Normal 802.11g, provided by Atheros in its documents. 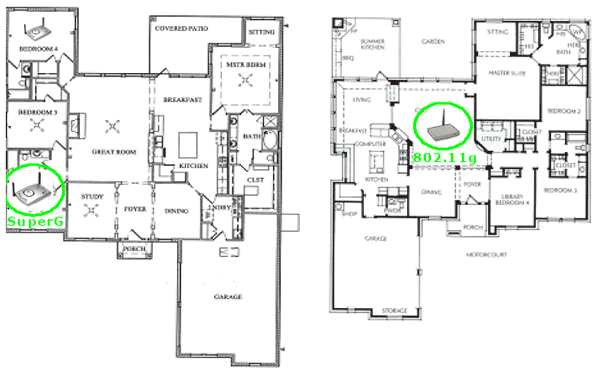 Figure 6, access points are in different houses, signal attenuation - 30 dB. You can see on the spectrogram that the Super G Turbo signal is attenuated (by exterior walls and distance) by 30 dB (that is by 1000 times). We can easily ignore this interference, a normal 802.11g device would operate in a normal high-speed mode. In its turn, a Super G AP will not switch to the single-channel mode. What conclusions can be drawn from the above said? In 802.11g, Super G Turbo practically monopolizes the frequency band for itself. On the other hand, signal strength drops fast in buildings (attenuated by walls), so you'd better install the device in the center of your apartment. Anyway, Super G devices operating in Turbo mode actually impede other devices in close proximity. As you cannot always tell for sure that your neighbour installed a normal 802.11g access point (or even Super G), you'd better disable Static Turbo in device settings. Maximum you can allow is dynamic turbo mode to let your device sort out whether the airtime is free or not. Using several channels provides considerable performance boost to wireless devices. And in conclusion, several words about compatibility of super g devices with devices operating in the base 802.11g mode.